Unlike the last several weeks, I had nothing holding me back from going all out at garage sales. Once again, my two goals were to find new games to add to my NES collection and restock my eBay store in time for the Christmas season. I’d say this week was one of the biggest successes this year. This is the first time I’ve ever spent five hours at garage sales. I went to one Goodwill early in the week and went to six community yard sales, which began at different times. 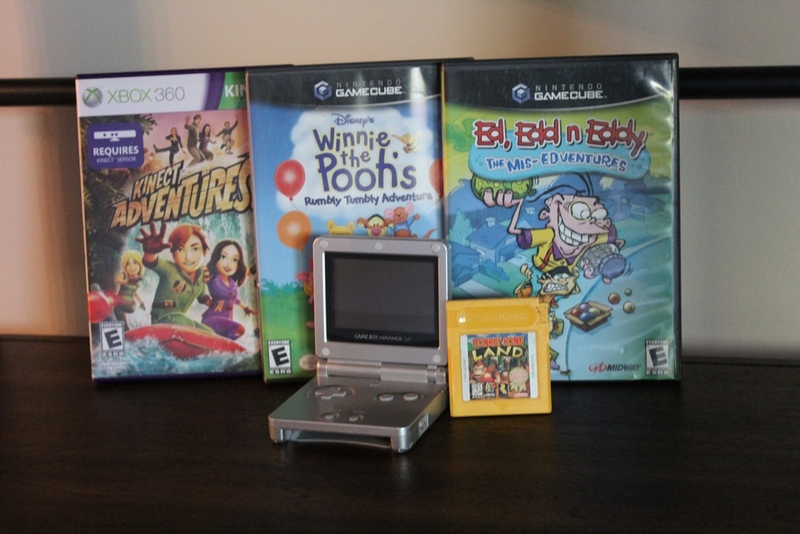 Unfortunately the first three garage sales were duds, but I was able to find a lot at the next three. These were my first finds of the week. I stopped at this Goodwill with my fiancee while we were out grocery shopping. 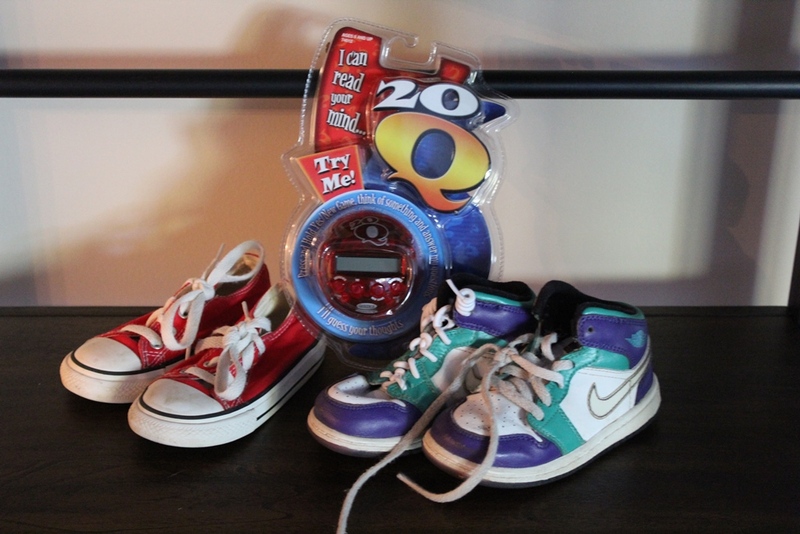 Last week I picked up some name-brand toddler shoes, but I hadn’t had the chance to list them yet. But I’m rather certain that for $2, there’s not much risk. These sealed 20 Q games go for about $20 on Amazon, so I’ll try to begin selling on Amazon over the next couple of weeks. Like I mentioned in last week’s post, my fiancee and I have settled into our new apartment. And we’re currently looking into getting some new office furniture– including two desks, which I was looking for at garage sales. 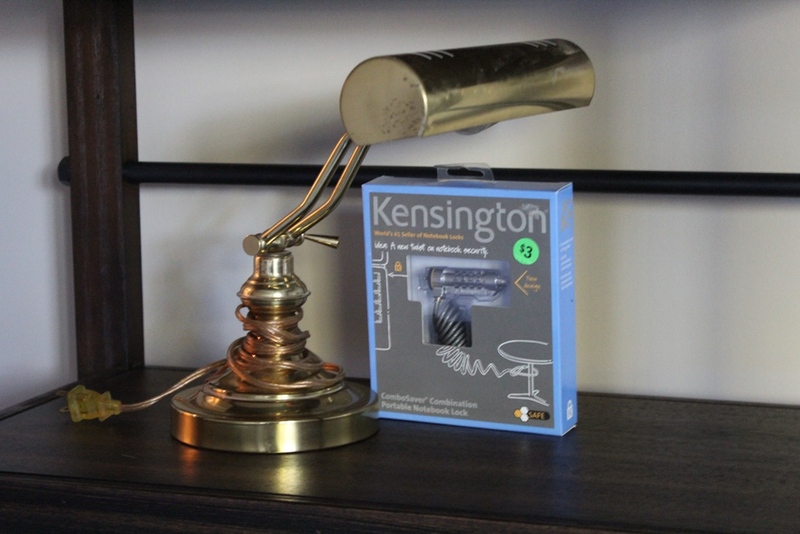 We purchased an banker’s lamp a few month back, and this lamp matches perfectly. The laptop lock was gut purchase. I’m not sure what I’m going to do with it yet. These were $3 each, but the seller accepted $5 for both. I’ve been trying to get into selling books on Amazon for a while now. So these were just a couple that I thought would be worth enough to get started. The Pirateology is really neat piece and should go for about $20. 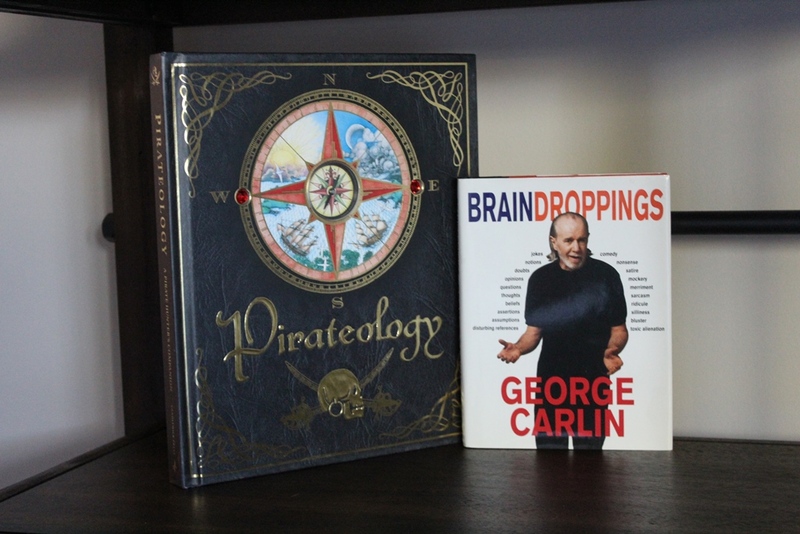 The George Carlin book will probably be traded to a local book store. 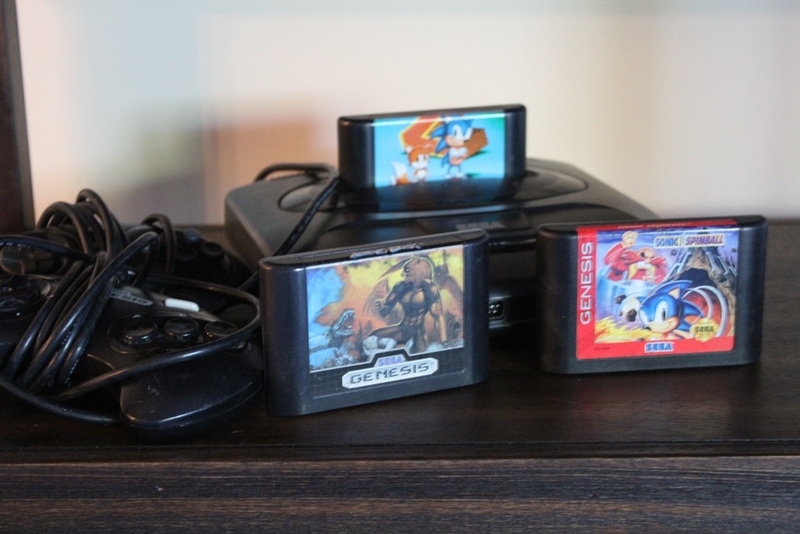 This guy had a Sega Genesis version one and version 2 with a handful of games. The consoles were $5 each, and a couple games had price tags for $1 each. So I asked for $5 both the Genesis version 2 and the three best games he had. I’m not sure what I’m going to do with these yet. But trading them at a local game store should fetch about $15-20 in trade credit. This was also a gut purchase. I’ve sold children’s Disney DVDs for a long time and have done really well. But I see a lot of DVD sets targeted at younger audiences. And many of the educational DVD lots sometimes go for a lot. These were in mint condition. The seller was asking for $15 for both, but since it was towards the end of the day, I offered $10. I’m hoping to sell this one around the holiday season for $30-40. I walked up to this yard sale right as the seller was offering to give away a few of the items to someone, as they were just about to pack up everything to donate to Goodwill. I found a box of Lego for $5 (which I’ll get to next) and this glove for $30. 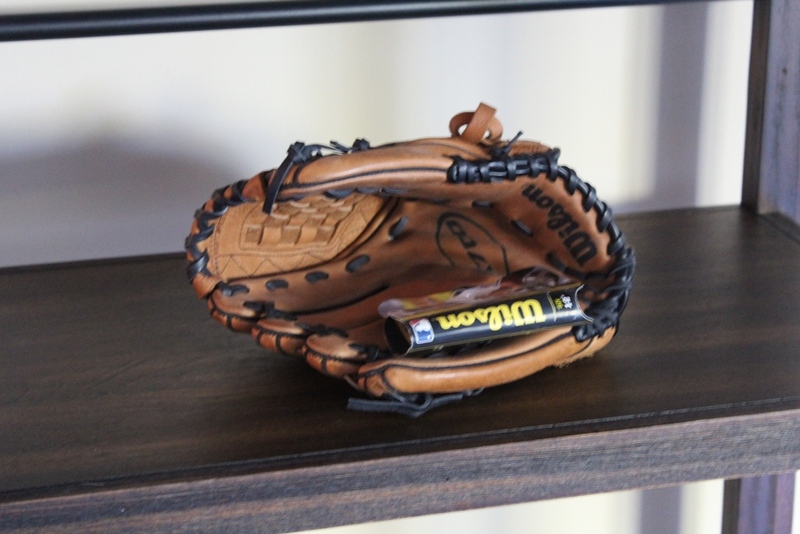 Next to the glove was a print-out of an eBay listing that showed that it was purchased for $55. It was a bit of a stretch, but I offered $10 for both, since they were just minutes away from packing up, which she accepted. I’m going to list the glove for $40. These two came from two different garage sales– each for $5. One of them is full of standard Lego, including some mini figures. 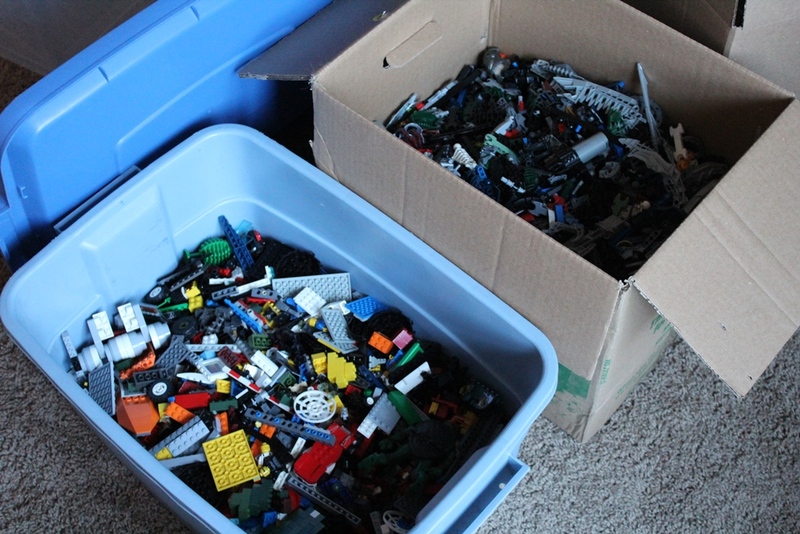 And the second box is full of Bionicle Lego pieces and came from the same seller as the glove. So there is a ton of variety here. Boxes of Lego are always a mystery, but sometimes (especially around the holiday season) they go for big prices. So I’m excited to see how this one will turn out. These were in a big pile on the ground. I have had some luck selling TV seasons in the past, but usually they do a lot better if they’re complete series. These seemed like they’d do well, as they were all complete and in good condition. I asked how much they’d take for Gilmore Girls and Dawson’s Creek, to which they said $15, so I offered $25 for these four sets. They countered at $28, which I accepted. To save on shipping, I’m going to sell Gilmore Girls and Dawson’s Creek together and Entourage and Weeds together. I’m hoping to get $40-$50 for each set. This was my first of two video game pick-ups of the day. I stepped up to this garage sale right as it was starting. They had just set out one or two tables and asked me what I was looking for. I replied “just browsing. 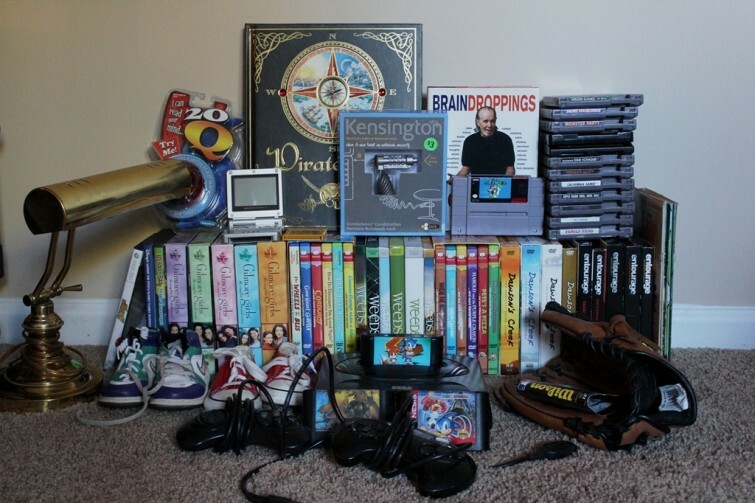 Do you happen to have any electronics, like video games or anything like that?” The seller mentioned she might have some video games but that they might be old. I love hearing this for two reasons: first I’m generally looking for older games and secondly this implies that they know that games are less in demand as time passes. Sometimes people try to sell even old games for much higher prices simply because they paid a lot for them. I stuck around this sale for about ten minutes while they ran in and out looking for games. Most were terrible games or scratched with the exception of Persona 4, which was missing a disc. She asked for $4, which I was happy to pay. So I paid and quickly left since I had spent so much time at this one sale. This one was the highlight of the day. 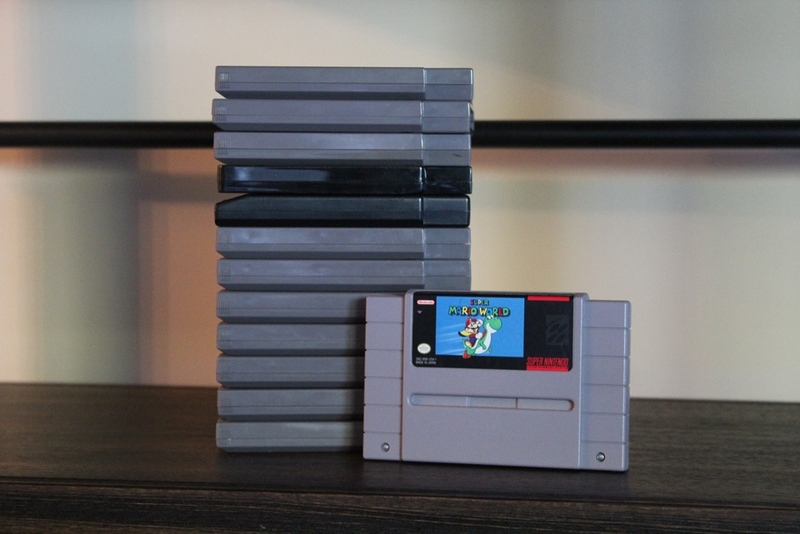 And there’s a great story behind this one, which I’ll get to in my next NES Quest post. So stay tuned.